Are you a big sports fan? If you are passionate about it, then you probably have experience with betting or recognized a secret ability to predict game outcomes. 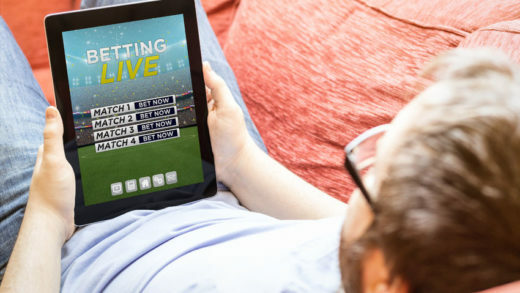 Sports and betting naturally go hand in hand, so if you’re already enjoying watching different sports games, you could also make a profit from it. But don’t dive into it like other betters, without putting in an effort. You need to be consistent and have a strategy if you’d like to sustain consistent profit as a sports bettor. Handicappers usually have a few ways of making money with their picks – email leads, social media, launching a website, and writing sports betting content. We’re here to show you how you can profit from your handicapping line. What you’d want to go with is an Sports Betting Line – you help your callers while making money. Also, that type of line is known to generate lots of repeat callers. Callers understand that the calls are charged directly to their credit or debit card, and since they’re getting information that will help them place a bet that can bring them lots of money, that’s not an obstacle. Set up your Pay-Per-Call number easily by signing up with our company. We will set up your Pay Per Call telephone line, and you can record a main greeting, as well as your sports pick selection/s. This works like recording a voicemail message, or you can upload your audio file in your Pay Per Call account online. Our system is 100% automated so you don’t need to answer phones. Your line can handle 99 simultaneous calls at once, so their is lots of room to profit. When your callers dial your Pay Per Call line they will be prompted to enter their payment details by phone. Once the payment is entered, our system will charge your customers card for the flat rate fee you’ve set for your line, and play your pre-recorded message/s. Next, you’ll want to advertise your number with some help of digital marketing, place some ads in local or national newspapers and on websites. Also, print out some promotional material (like pens, pencils, mugs, matchboxes, lighters, and caps, with your business name and number) and pass them around. You’d want to use promo material that matches your bettor audience. As for Pay-Per-Call line itself, it helps your handicapping business by charging the phone call to the bettor. The rate-per-minute that you charge is higher than a regular phone call. When you collect the charge from us, you essentially get paid for the handicapping picks you provide to your clients. The earnings potential of Pay-Per-Call charging is better than billing via an invoice or handling any transactions by yourself. The client is told that the call costs money and they are asked to provide their credit card number for the charge. 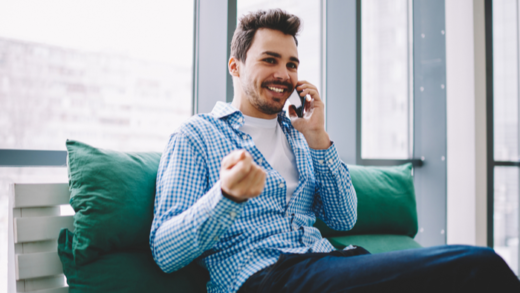 In the end, bettors benefit from your service because you are available whenever they need you and you’re only a phone call away. On the other hand, if you realize that there’s room to grow your sports handicapping line business, the opportunities to scale up, expand, and profit are excellent. If you’re good at giving out sports picks, then your callers will call again, and you need to be ready with new sports selections daily or weekly for maximum profit!